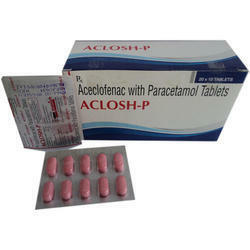 Aceclofenac is used in fever, headache, arthralgia, myalgia, dental pain, post-operative pain, pain during menstruation, osteoarthritis, rheumatoid arthritis, ankylosing spondylitis and gout. Uses of Hisone Tablet Hisone 10mg Tablet is used in the treatment of severe allergic reaction, allergic disorders, cancer, skin disorders and eye disorders.How Hisone Tablet works Hydrocortisone belongs to a group of medicines called corticosteroid . It prevents and treats the allergic and inflammatory reactions by decreasing the number of blood cells that cause inflammation and allergy. Side Effects:Headache Dizziness Delayed wound healing Sleeplessness Extreme changes in mood Sore throat and fever Convulsions (seizures) Swelling of face, lips, eyelids, tongue, hands and feet Difficulty in breathing Irregular menstrual periods Changes in vision Severs allergic reaction Muscle weakness Black or tarry stools Unwanted hair growth Depression You may take Hepcinat-LP with or without food. Take the medicine at the same time each day. While using Hepcinat-LP, you may need frequent blood tests. Store this medicine in the original container at room temperature away from moisture and heat. Hepcinat LP side effects? Common side effects may include: Headache; or Tired feeling.